Marine techs Lucian Parry and Greg Boyd use a pump to help bury pressure sensors in the sand in Imperial Beach Nov. 13 for the Center for Climate Change Impacts and Adaptation at Scripps Institution of Oceanography. 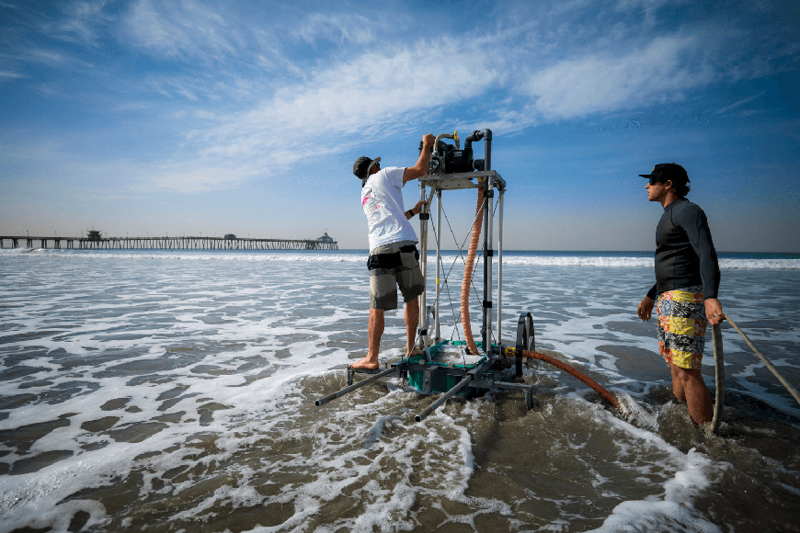 The sensors are part of a network of equipment intended to help the City of Imperial Beach significantly upgrade its flood alert capabilities and better prepare for sea-level rise. Photo: Erik Jepsen, UC San Diego Publications.